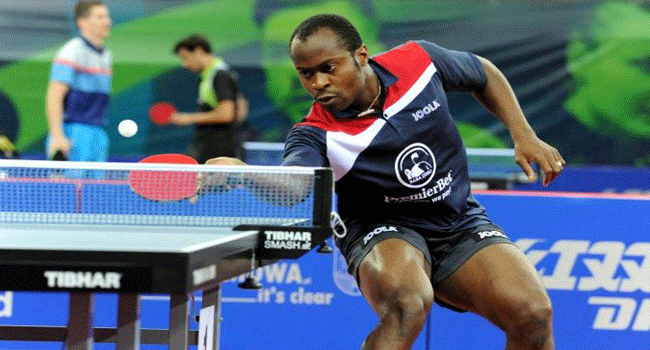 Aruna Quadri has moved from 36 to 27 in the November ITTF ranking released on Wednesday by the world table tennis ruling body. With 2,434 points in October to be ranked 36, the 2017 Polish Open Champion who is supported by Premier Lotto gained 23 points from his performance in October to be rated 27 in November with 2457 points. Despite drop in his ranking points from 2,528 to 2,513, Egypt’s Omar Assarl holds on to the zenith in Africa as the Egyptian moved a step up from 21 to 20. China’s Ma Long remains the number one player in the world despite losing to Germany’s Timo Boll in the semifinal of the ITTF World Cup while winner of the 2017 ITTF World Cup, Germany’s Dimitrij Ovtcharov achieved the biggest ranking in his career after moving a step up to third spot in the latest ranking.